Home » » What about the Yak? The domestic yak is a long-haired domesticated bovid found throughout the Himalayan region of the Indian subcontinent, the Tibetan Plateau and as far north as Mongolia and Russia. It is descended from the wild yak (Bos mutus). 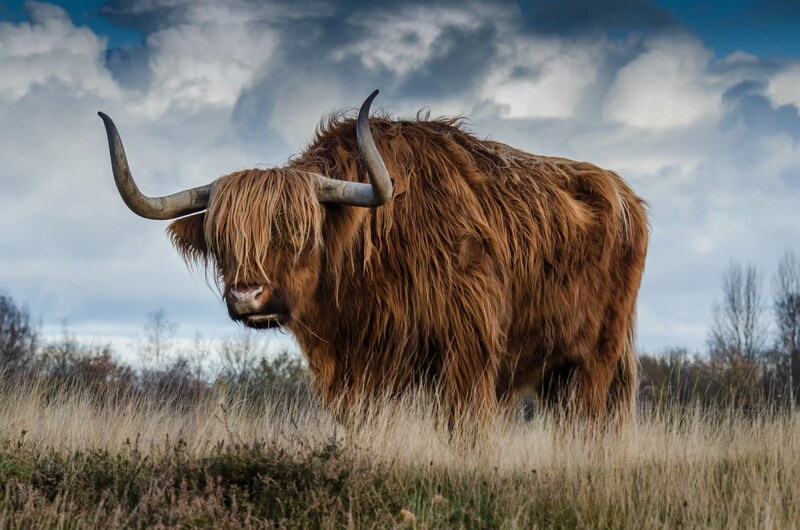 Yaks are heavily built animals with a bulky frame, sturdy legs, rounded cloven hooves, and extremely dense, long fur that hangs down lower than the belly. While wild yaks are generally dark, blackish to brown in colouration, domestic yaks can be quite variable in colour, often having patches of rusty brown and cream. They have small ears and a wide forehead, with smooth horns that are generally dark in colour. In males (bulls), the horns sweep out from the sides of the head, and then curve forward. They typically range from 48 to 99 cm (19 to 39 in) in length. The horns of females (cows) are smaller, only 27 to 64 cm (11 to 25 in) in length, and have a more upright shape. Both sexes have a short neck with a pronounced hump over the shoulders, although this is larger and more visible in males. Males weigh 350 to 580 kg (770 to 1,280 lb), females weigh 225 to 255 kg (496 to 562 lb). Wild yaks can be substantially heavier, bulls reaching weights of up to 1,000 kilograms (2,200 lb). Depending on the breed, domestic yak males are 111–138 centimetres (44–54 in) high at the withers, while females are 105–117 centimetres (41–46 in) high at the withers.